An underprivileged teenage girl coping with an unexpected pregnancy would be a dire situation in any circumstance, but particularly so in China circa 2009, where the societal and financial penalties for an unwed, unwanted mother are severe. Such is the backdrop for Jennie Liu’s Girls on the Line, a simple, potent tale of young outcasts struggling to survive amid an unforgiving landscape of industrial and rural squalor. Luli is an orphan girl far past adoption age who has left the familiar confines of her orphanage for the industrial town of Gujiao in Shanxi province, where fellow orphan Yun has already established herself as a line worker at a local factory. While Luli is shy and uncertain, Yun is brash, fun-loving and ambitious, already enjoying the benefits of a steady salary and a steady boyfriend named Yong. The two girls’ shared dream of a better life goes well at first as Luli joins her friend at the factory, but she soon learns that Yong might be a human trafficker who sells off young women and babies to the highest bidder. When Yun becomes unexpectedly pregnant, both mother and unborn child fall into jeopardy, and it’s up to the innocent Luli to find her friend and discover hidden reserves of strength within herself to protect them both. Girls on the Line moves with a propulsive pace, with each chapter alternating between Luli and Yun’s perspectives. The book may be aimed at teens, but Liu pulls no punches in depicting the realities of life in China’s gritty industrial towns and isolated rural villages. Hard-hitting and suspenseful, the story maintains focus on its likeable, vulnerable leads even as plot complications mount. 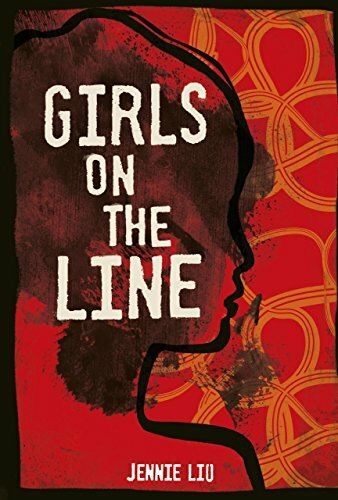 As the title suggests, these girls aren’t just on the factory line—their lives are on the line as well. Liu’s evocations of smoggy, grubby Gujiao and the countryside where Yun flees are vivid, and if her narrative voice sometimes seems a bit too sophisticated for her heroines’ more naïve points of view, her prose remains elegant and gripping throughout. Above all, Liu views her characters (including Yong, the ostensible villain of the story) with sympathy. These are outsiders and victims driven to desperation, floating at the fringes of society, at the mercy of bureaucratic institutions and corrupt local authorities. In the hardscrabble world of Girls on the Line, human lives are reduced to commodities, sources of money, or waste, and even ingenuous, well-meaning souls like Yong’s mom, who sees Yun’s child as a blessing, fail to comprehend how such a life outside legal sanctions can be nothing but a burden. The irony of Yun’s lowly status isn’t lost when she must seek refuge at an orphanage by pretending to be insane (and thus deserving of at least a temporary bed), or when she gives birth while hiding out at Luli’s workplace, the baby entering life right next to a factory line. An afterword by Liu provides perspective on China’s “one child” policy, which was done away with in 2015, but the themes that enrich Girls on the Line are just as relevant today as they are in its 2009 setting: the marginalization and exploitation of the poor, even as China strides boldly forward in its commercial and industrial vigor. As Yun and Luli take their first faltering steps toward a new variation on the standard nuclear family, Girls on the Line finds glimmers of hope among the chaos of their troubles. While the book provides no easy answers to its heroines’ challenges—and to the challenges of others like them—it is a compelling tribute to their resilience and courage. Ho Lin is an author, musician, and filmmaker, and the co-editor of the literary journal Caveat Lector (www.caveat-lector.org). His publishing credits include work in Pulp magazine, Your Impossible Voice, and Foreword Reviews.